If you want to switch from Samsung to iPhone X/XS (Max)/XR but don't know how, here are 3 ways with clear explanation in this tutorial for you. Apple has released their latest smartphones and a lot of users are literally going insane over these new products. Many smartphone users love both Samsung and Apple devices. So switching from Samsung to iPhone X/XS (Max)/XR is normal for them. If you are also a Samsung device user and you want to switch from Samsung to iPhone X/XS (Max)/XR, but you don’t know how you can transfer your data then you have come to the right place. In this article you are going to learn 3 different and most effective ways to transfer data from Samsung to iPhone devices. You will also get some great tips for transferring data from Samsung to iPhone. This article will be very helpful for those who don’t know anything about this issue. If you want to switch from Samsung to iPhone X/XS (Max)/XR, then Move to iOS can be a great solution for you. This official app from Apple will help you to move the essential data from your Samsung device to iPhone. It’s a bit technical but if you follow the below guideline, you will understand it. Here is how you can use Move to iOS to get your transferring task done. First, install Move to iOS app on the Samsung device and you need to turn on the Wi-Fi. Make sure that both of your Samsung phone and new iPhone has enough charge to complete the whole process. You need to have iOS 9 or later and iPhone 5 or later model to complete the transferring procedure. An option named “Apps & Data” can be found on your iPhone screen, when you will setup your new iPhone. First you can navigate to “Apps & Data” and tap on “Move Data from Android” option from below sub-menu to proceed forward. 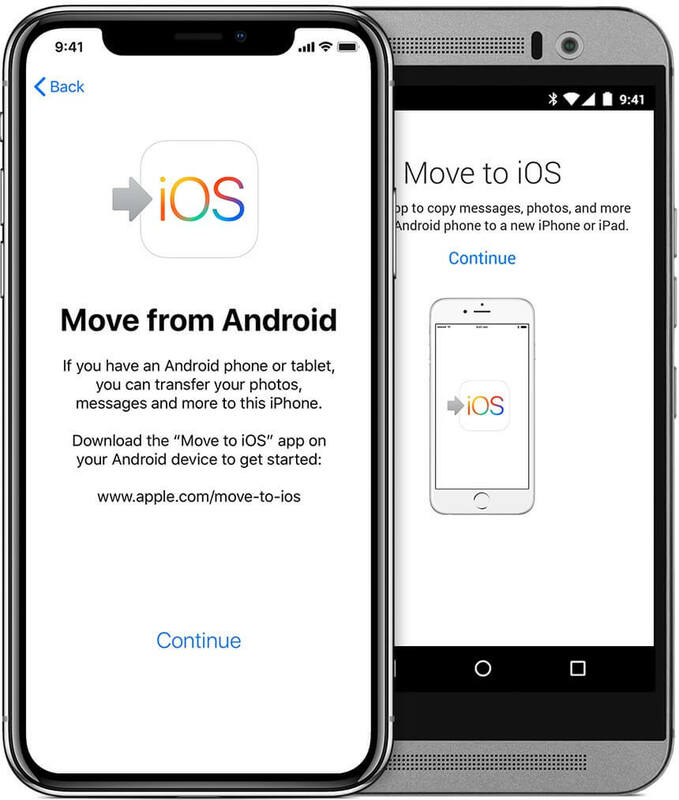 Take your Samsung device, launch the Move to iOS app on the device and tap on the “Continue” button. 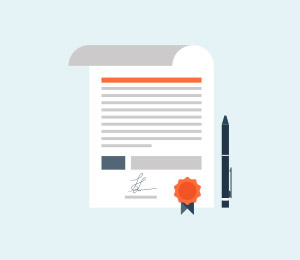 Now the terms and conditions page will appear on your screen. Here, you will have to accept the terms by tapping on “Agree” and then tap on the “Next” button from the top-right corner of the “Find Your Code” screen. Now select “Move from Android” option and tap on the “Continue” button on your iPhone device. A ten or six digit code appears on the screen immediately. Now you need to enter the code on your Samsung device and wait. Within a very short time, the “Transfer Data” screen will appear in front of you. Finally, all you have to do is select all the data you want to transfer from your Samsung device and tap on the “Next” button. You must wait till the loading bar is complete on your iPhone device though the Samsung device shows you that the process is complete. Wait for a few moments and the transfer process will be completed in no time. The transferring time depends on the size of data you are transferring from your Samsung device to iPhone device. The best way to switch from Samsung to iPhone X/XS (Max)/XR is by using iSkysoft Toolbox - Switch (iOS&Android). 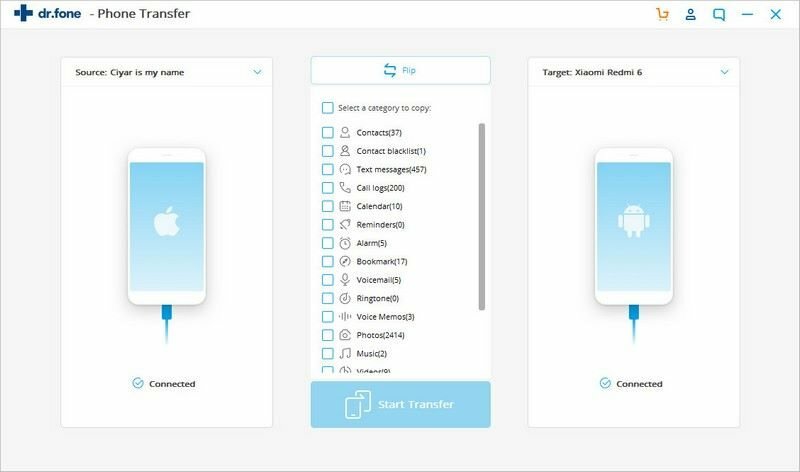 It’s a one of a kind tool that can transfer data from your Samsung device to the new iPhone X/XS/XR in one click. 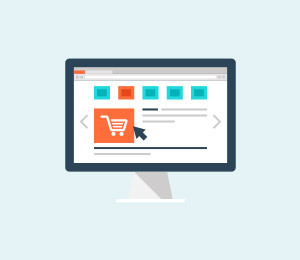 This one click data transfer system is useful for a lot of users because you won’t have to face any kind of difficulty while performing the transfer process. 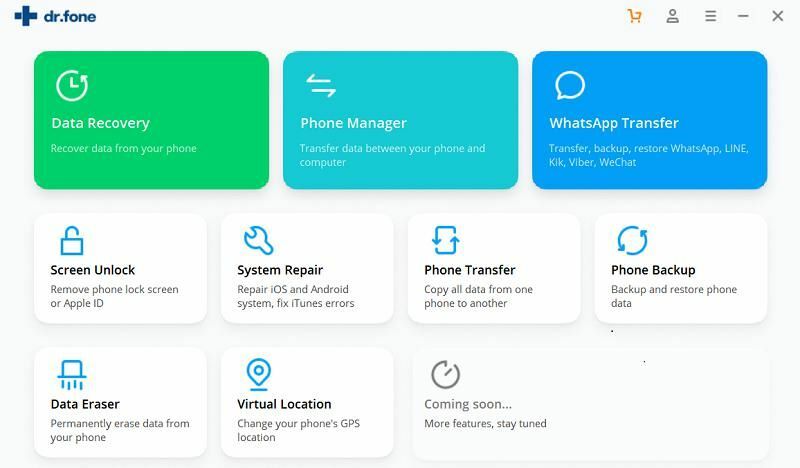 It’s the easiest tool to transfer contacts, apps, call log, messages, calendar, photos, videos, music and many more data types between iPhone XS/XS (Max)/XR/X/8/7/6S, Android and other brand devices. 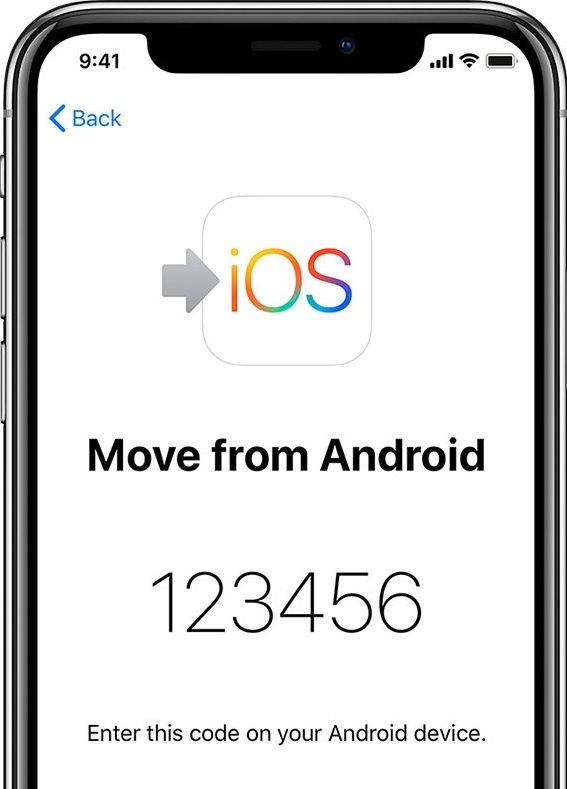 It also supports iOS 12/11/10/9/8 and Android 8.0. Here is how to transfer everything from Samsung to iPhone XS/XR/X in 1 click. 1. Download, install and launch the program in your computer. 2. Now click on the “Switch” tab, that will take you to the transfer window. Then connect your Samsung device and new iPhone XS/XR/X to your computer by using a good quality USB cable. After successfully connecting the devices, your Samsung device will be scanned automatically by the software. After the scanning finishes, the program will display all the file types that are available for transfer from your Samsung device. 3. Finally select any data type that you want to transfer such as Contacts, Photos, Text Messages, videos, music, notes, documents etc. 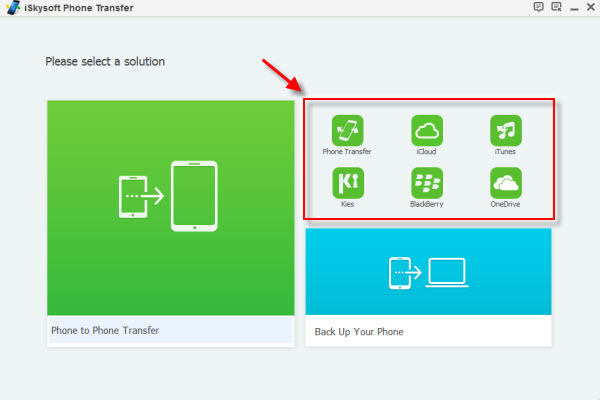 and click on the “Start Transfer” button to finish the Samsung to iPhone transfer process. Restoring Samsung Kies backup to iPhone can be a great way to transfer data from Samsung to iPhone device. Actually, in this step you are going to learn, how you can use iSkysoft toolbox and restore Samsung Kies backup to your iPhone in no time. Here is how you can do it. 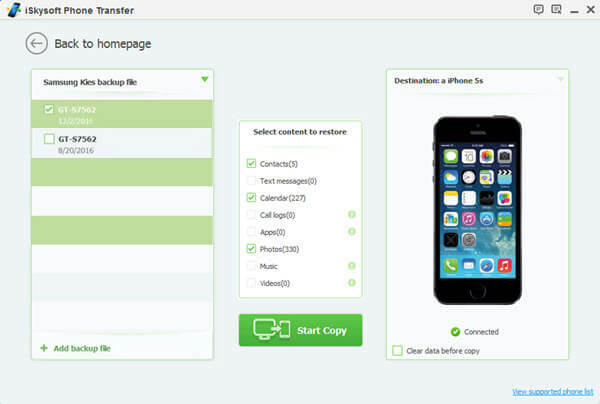 At first you need to download iSkysoft Phone Transfer tool from the official website and the instructions to install and use the software will be available for you. Follow the instructions, complete setup process and launch the tool on your PC. 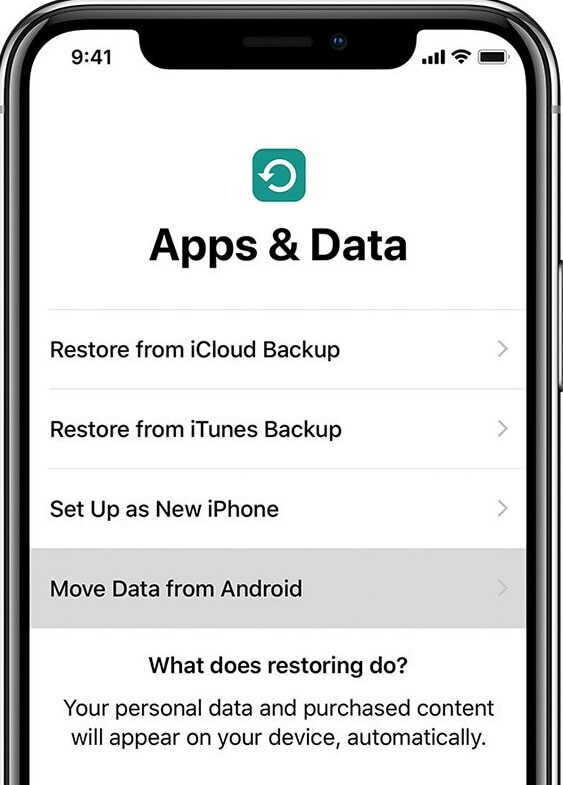 When you have the home interface in front of you, select the “Restore from Backup” tab. Here, you will find the options of compatible backup files. Now you need to select “Kies” from here to restore the data from Samsung Kies to iPhone device. After selecting the “Kies” option, all the data from the backup will appear on your PC screen in the next interface. Now, you need to connect your iPhone device in the PC and choose the data items you want to transfer. 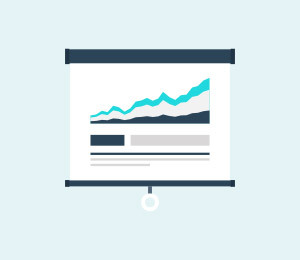 For selecting each of the content, you need to check the boxes and then click on the “Start Copy” button. The transfer process will start immediately. Many users want to switch from Samsung to iPhone X/XS/XR now and following this article can be great help for them. We all need a proper guideline in order to do something technical. Don’t worry, because here are 3 tips that will help you to transfer data from Samsung to iPhone device. We all know that there is always a risk of data loss while you are transferring data from Samsung to iPhone X/XS (Max)/XR. So you need to backup the Samsung data before starting any kind of transfer process. You can only get “Zero” data loss result if you are using iSkysoft Phone Transfer, otherwise you must backup all the data first. You can donate your phone after you transfer data from Samsung to iPhone X/XS (Max)/XR. You can get this kind of plans from organizations such as Cell Phones for Soldiers (it buys 1 hour of talk-time for soldiers), Shelter Alliance, Recycle for Victory (sleep-away camp for chronic medical condition or seriously ill kids), National Coalition Against Domestic Violence etc. Before any kind of donation or old-phone sales plans, you must erase your Samsung device for your own safety and avoid any kind of privacy breach. If anyone can access your contacts, emails, address or bank account, chat details etc. they may misuse it. 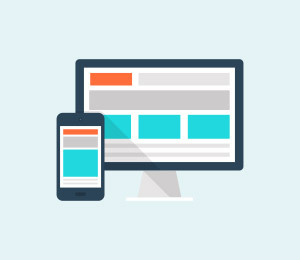 You can also sell your phone to people who are interested in buying second-hand phones after transferring everything from your Samsung device to iPhone X/XS (Max)/XR. There are a lot of second-phone selling sites available on the internet such as uSell, CellSell, Flipsy etc. Data transfer can be stressful if you really don’t know the detailed steps of what you really need to do. Thankfully, this article can show you how to switch from Samsung to iPhone X/XS (Max)/XR with proper step by step guideline. Move to iOS and Samsung Kies Backup process are useful but the best way to transfer data from Samsung to iPhone is by using iSkysoft Phone Transfer. The one click transfer process is way to easier than any other process and the safest way to transfer data between your devices. If you want to get a guaranteed no data loss and perfect result, this tool can be really helpful to you. Get to know how you can send you photos from your Android device to iPhone in 2019 and beyond. Finding methods to ransfer music from phone to tablet? Here we would like to share 2 ways for transferring music from phone to tablet by using phone transfer and Bluetooth. There are 4 easy ways on how to transfer music from Mac to Android for your reference.